Merkrete Systems in Hotel Bennett, Charleston, S.C.
After years in the making, the Hotel Bennett perfectly blends unparalleled luxury with an unmatched setting. Fittingly located on King Street, one of Charleston’s most famous addresses, this hotel will be among the most significant lodging developments built in the Holy City and the State of South Carolina. Prominently located on Marion Square, the hotel’s historic site formerly housed the original west wing of The Citadel, South Carolina’s Military Academy. Most recently, it was home to the Charleston Library. Today, Marion Square, the most celebrated green space in the city, serves as a central gathering location for world-class events, including the Charleston Wine & Food Festival, Charleston Fashion Week, the Southeastern Wildlife Exposition and the popular Charleston Farmer’s Market. Hotel Bennett features 179 lavish guestrooms and suites, a signature restaurant with stunning views of Charleston’s famed park, and a stylish bar and lounge. 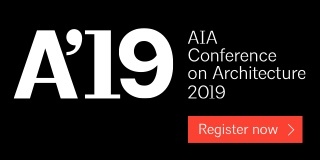 The hotel will also include a spectacular rooftop pool with cabanas and bar, a luxury spa, a French patisserie, and a variety of grand event and flexible meeting spaces. The impressive interior style combines sophisticated, inspired design reminiscent of the city’s rich heritage with a modern perspective. Designed by Fairfax and Sammons Architects, the Hotel Bennett sets the standard for the melding of both new and vintage styles. 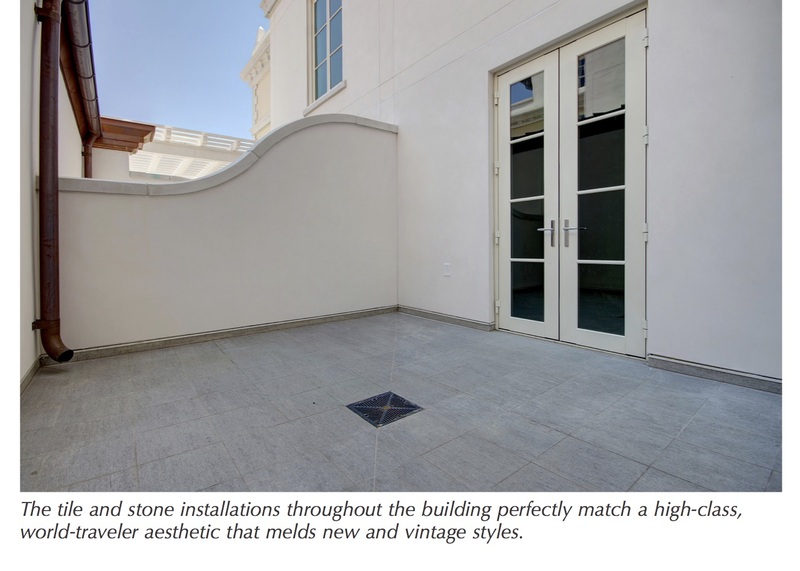 The tile and stone installations throughout the building perfectly match this high-class, world-traveler aesthetic, as each piece was masterfully chosen and strategically placed for an extra touch of glamour and ensured functionality. When NTCA Five Star Contractor David Allen Company was approached by Balfour Beatty Construction to supply the cost-efficient, high-performing materials they wanted from around the world, David Allen Company Project Manager Clovis LaCour knew they’d need a trusted and top-quality waterproofing system to ensure a job well done. 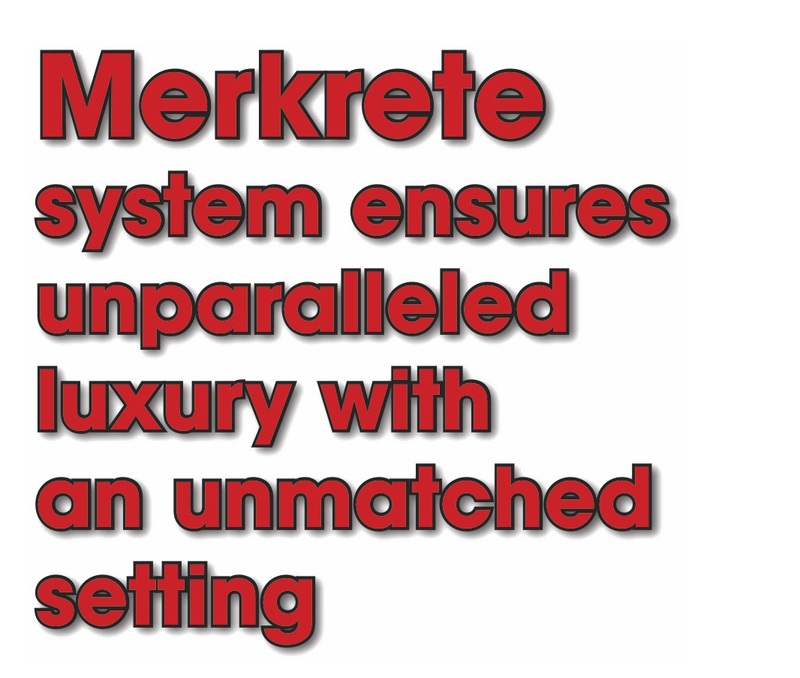 Upon reviewing the scope of the project, all answers pointed definitively to Merkrete, a leader in waterproofing, crack isolation and underlayment technology. 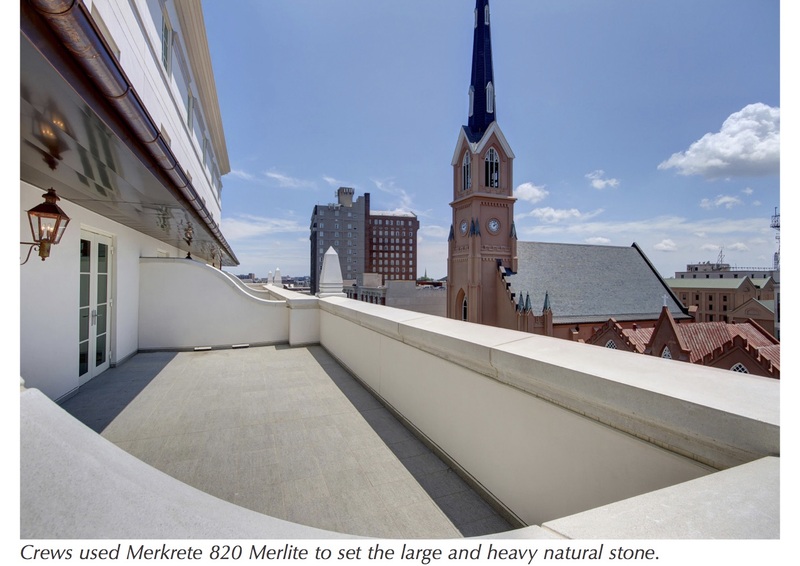 To prevent any potential moisture issues in highly utilized areas such as the hotel’s exterior balconies, Merkrete’s trusted system is a critical component to the installation. Since 1920, David Allen Company has been one of the nation’s most recognized and respected tile, terrazzo, marble, and granite contractors. 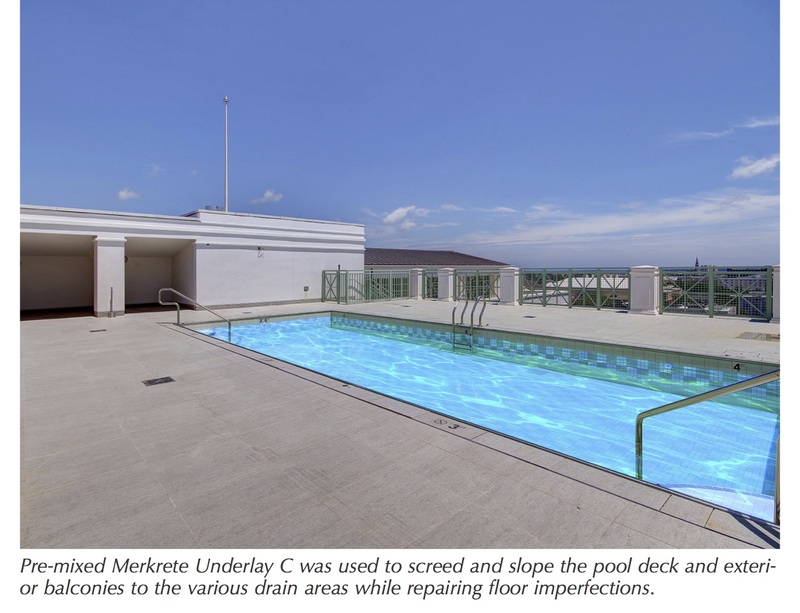 When it comes to the critical waterproofing under tile on the exterior balconies and surrounding areas, Merkrete’s BFP waterproofing membrane system was the only solution. 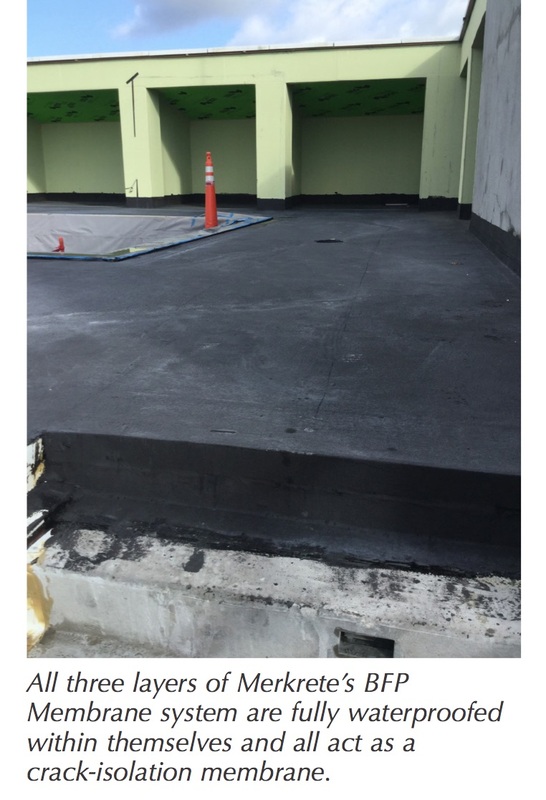 Durable and long lasting, this membrane system is designed for heavy-duty applications, promising zero leaks or cracks, even with severe exposure and high amounts of traffic. 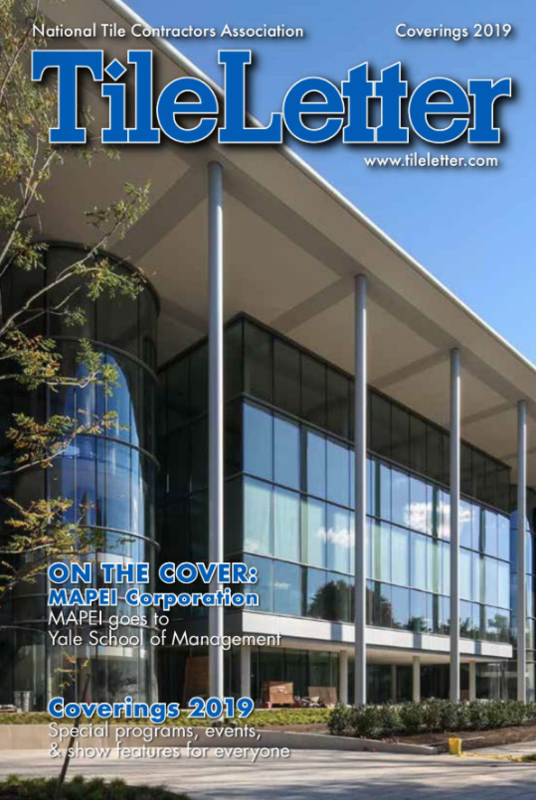 Merkrete’s BFP Membrane System is a three-layer system designed to mimic a three-ply roofing membrane. As most architects are familiar with this type of roofing product, BFP is composed of three distinct layers: first, the primer is applied in a liquid state and allowed to cure for several hours followed by the liquid membrane itself. The workhorse latex membrane is an asphaltic liquid latex compound reinforced with a hefty fabric allowing for 40 wet mils. After curing, the third and final layer is applied and it acts as a protective wear surface to guard against construction traffic. All three layers are fully waterproofed within themselves and all act as a crack isolation membrane as well. Merkrete’s BFP Membrane system has been in existence since 1974 and provided millions of square feet of protection over occupied space. 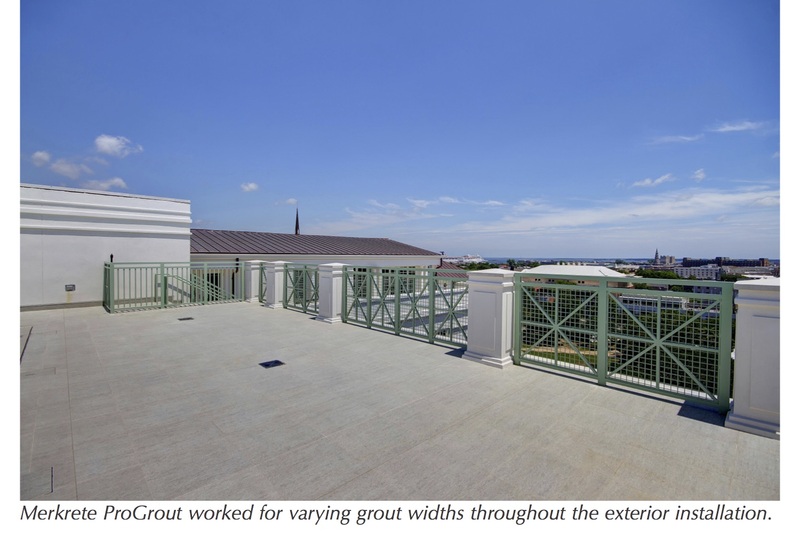 Because of the size of the pool deck and vast number of exterior balconies, LaCour needed a versatile product that could address several specific needs at the same time: a pre-mixed product that could be used to screed and slope the pool deck and exterior balconies to the various area drains while also repairing imperfections in the floors. Underlay C is a blend of carefully-selected polymers, Portland cement and graded aggregates that do not require the use of latex admix or jobsite blending. The pre-mixed product is versatile and economical, which helped David Allen Company save time and money by allowing a faster installation. Merkrete proved the perfect match for another specific challenge, considering the strength of the mortar required. 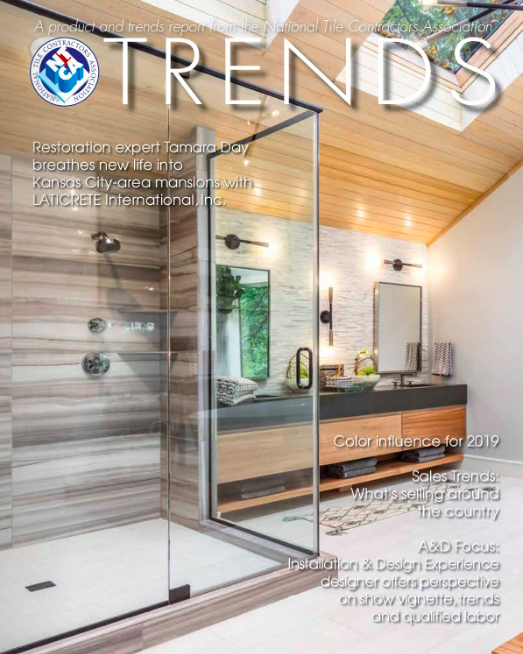 “We used very large and heavy natural stone, which requires a mortar with a super-high bondability that can handle the weight of the stone,” said LaCour. Merkrete 820 Merlite is a one-step, polymer-modified, lightweight setting adhesive for installing extra-large-format porcelain, ceramic tile and natural stone for both floors and walls, and can be used as thin- or medium-bed setting adhesive for stone. Merkrete proved it could hold its weight. As with all installations, timelines are always important and the Hotel Bennett was on a fast pace, so it was critical that LaCour chose a company who would be able to get the products delivered and the job completed on time. 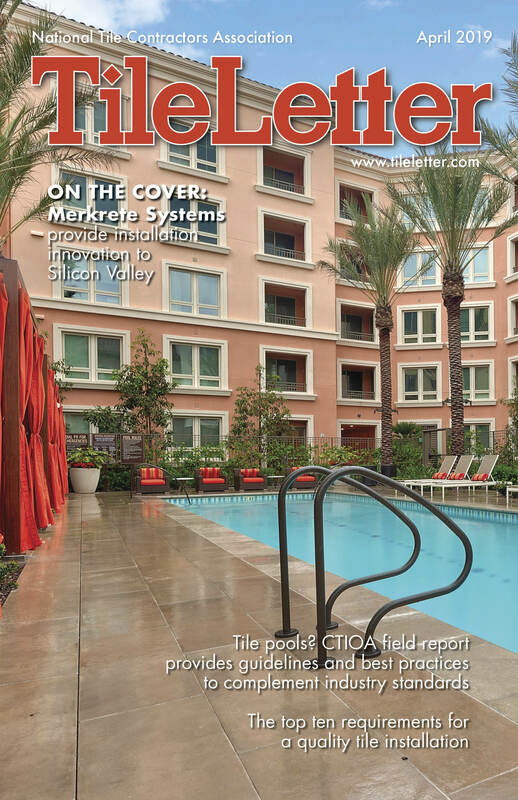 Merkrete is a brand of Parex USA, one of the largest companies and a worldwide leader in tile-setting materials, façade finishes and technical mortars, established in 22 countries with 68 manufacturing plants and over 4,100 employees. “Merkrete was perfect for this project’s requirements, because we have plants and distribution centers all over the country, so our turnaround time and ability to get our products to the jobsite on a timely basis were no problem,” said Chastine. Over the past decade, Charleston’s popularity as a travel destination has soared. In 2016, it was ranked as the top city in the world to visit by readers of Travel + Leisure, one of many accolades recently awarded to the Holy City. With the Hotel Bennett set to open in the Fall 2018, the guests will flood in to experience the fine culinary offerings and embrace the tranquil setting and incredible architecture. In the years to come, more renovations may take place, but thanks to Merkrete, you can be sure the stone tiles will be standing strong.